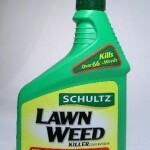 PRODUCT DESCRIPTION: Weed herbicide which is packaged in a "Ready To Spray" jug. This unique package enables one to just hook it up to your garden hose, turn it on and start spraying. 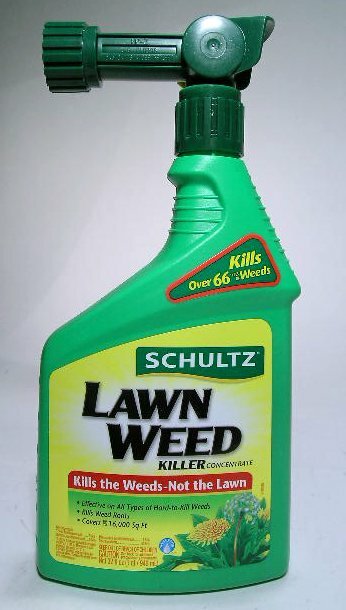 It's unique formula includes two broadleaf actives so it does a good job on most common weeds found in lawns. It's small size and ready to go package makes it ideal for small jobs. WHERE TO USE IT: On turf like grass where you need to target some broadleaf weeds. It won't work on crabgrass and it's not the most cost effective package for large jobs. However, it's good for people who have limited lawn to treat and small amount of area to cover. RATE OF APPLICATION: The coverage you get from this product will depend on how much you apply to any given area. The quart will cover an area 8000 to 16000 sq/ft so it's good for small jobs.